Welcome to The Miss Universe Organization press site. This site is intended for members of the press covering MISS TEEN USA®, MISS UNIVERSE®, and MISS USA®. We have information for those who are planning to be on-location at one of our competitions and for those who will be covering us remotely. On this site you will find high resolution images, high defintion videos, and press releases to aid you in your coverage. You must apply for an account before you can access the high resolution photos and videos available on this site. If you wish to cover one of our competitions in person, you must separately apply for on-site credentials. This site is organized by competition. At the top of each page, a appears over the currently selected competition. You can change competitions at any time by clicking on competition at the top of the page. The "Newsfeed" section has the latest information, the "Press Kit" section contains background material, and the "Archives" contain material from our recent past. Detailed instructions are available on our help page. 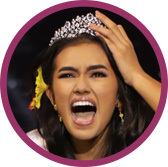 To get started, click on a titleholder bellow to see her news feed. The Miss Universe Organization (MUO), an Endeavor company, creates and advances opportunities for women around the world through its network of relationships across entertainment, fashion and philanthropy. MUO encourages every woman to challenge herself, find her unique voice, and embody the organization’s mission of being Confidently Beautiful. 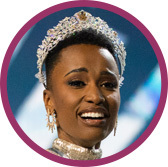 The 10,000 women who participate in Miss Universe programs annually inspire others to pursue their personal and professional goals while making an impact in their communities. 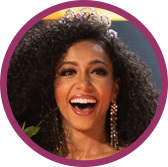 The MISS UNIVERSE®, MISS USA® and MISS TEEN USA® competitions provide contestants and titleholders an international platform through dedicated partnerships with global charities, sponsors, and brands. For more information, and to learn more about The Miss Universe Organization’s official global causes, please visit: www.missuniverse.com.